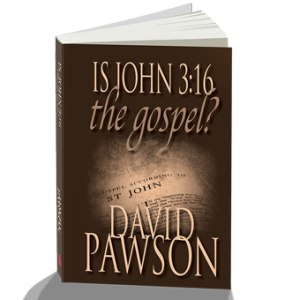 There is currently tremendous and growing interest in the impact of the familiar verse John 3:16. This new and radical book exposes misguided teaching, clearing up many common misunderstandings and providing an extremely helpful and detailed explanation of the verse in its context. The relevance of the surrounding verses is explored, and many fascinating insights equip the reader to understand the true meaning and significance of the passage and its proper application. Difficult and controversial issues are not avoided, and we are shown how powerful this passage is. A major challenge for today’s Christians.